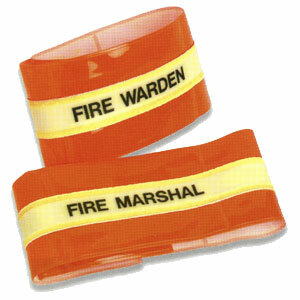 Photoluminescent armbands complete with fire warden or fire marshall badging. Extremely useful aid in fire evacuation co-ordination procedures. Velcro fastening for simple application.